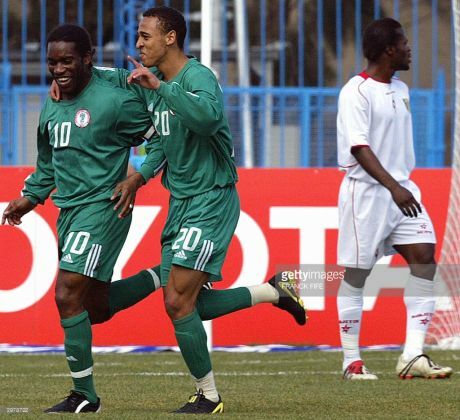 Nigeria striker, Osaze Odemwingie will be looking to re-enact the magic moments of Austin Okocha at the Rebook Stadium as the 35-year old is looking all set to join Bolton Wanderers in League One in the coming days. It is understood that Odemwingie will today have his medical with Bolton and one mission the former Stoke City forward will be chasing is to help his new team gain promotion to the Championship. Okocha joined Bolton Wanderers on a free transfer after leaving PSG in the summer of 2002 after the FIFA World Cup. Though his debut season was hampered by injuries, Okocha was an instant hit with the fans having helped steered the team away from relegation with seven goals, including the team Goal of the Season in the vital league win against West Ham United. It yet to be seen if Odemwingie who only recently stated that he still has a lot to offer will be able to match the legendary status acquired by Okocha with the Trotters.”I still have a lot to offer a team and I only need to show what I can do somewhere for people to believe that,” Odemwigie told BBC Sports recently. Odemwingie has had a colourful career, boasting 38 Premier League goals, playing at two World Cup finals with the Super Eagles of Nigeria. His last competitive football came in a loan spell at Bristol City last season, where he scored two goals against the Whites in their 6-0 defeat at Ashton Gate in March.